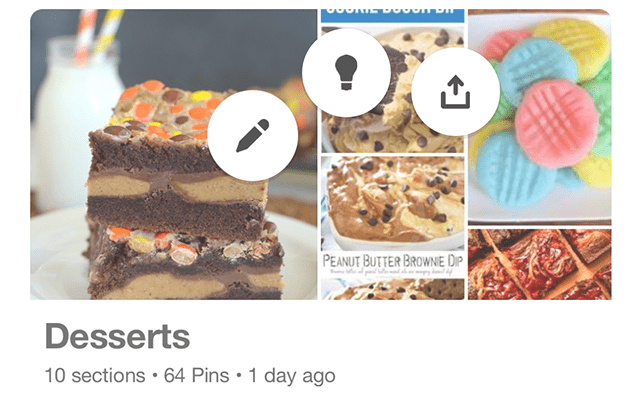 Did you know Pinterest allows you to share your boards with other Pinterest users, as well as with users outside of the Pinterest application? Our guide will show you how this works. Note: These screenshots were captured in the Pinterest app on iOS. Step 1: Tap “Saved” in the bottom-right corner of the screen to go to your profile. Step 2: Tap and hold on the board you want to share, until three icons appear on the screen. Step 3: Slide your finger so that it’s on top of the “send” icon (the icon farthest to the right). It will turn red. Lift your finger. 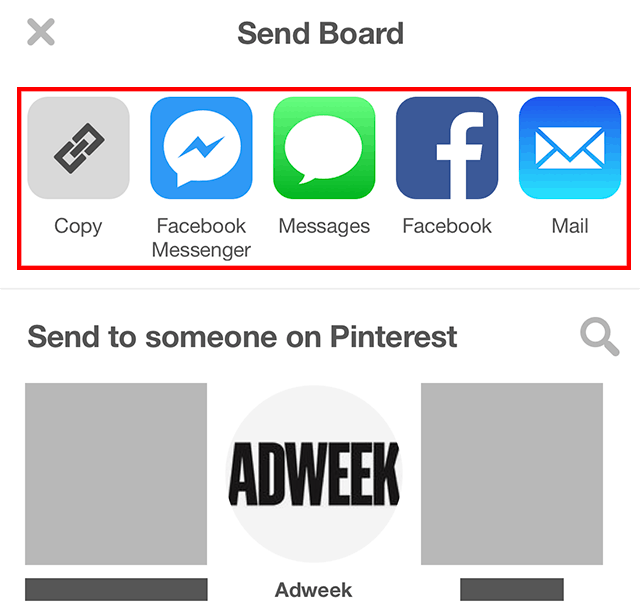 Step 1: If you want to send the board to someone outside of the Pinterest app, tap one of the app icons to send the board through that app. Or tap “Copy” to copy a link to the board that can be pasted anywhere you like. 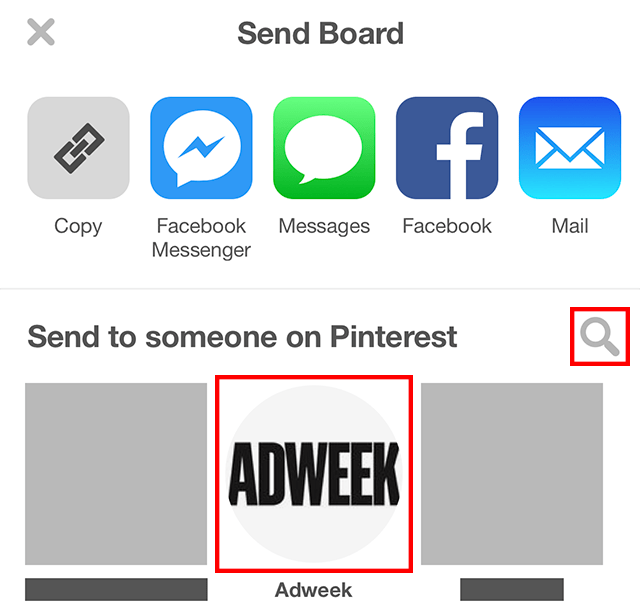 Step 1: If you want to send the board to another Pinterest user, either tap one of the users Pinterests presents to you, or tap the magnifying glass to search for a user manually. 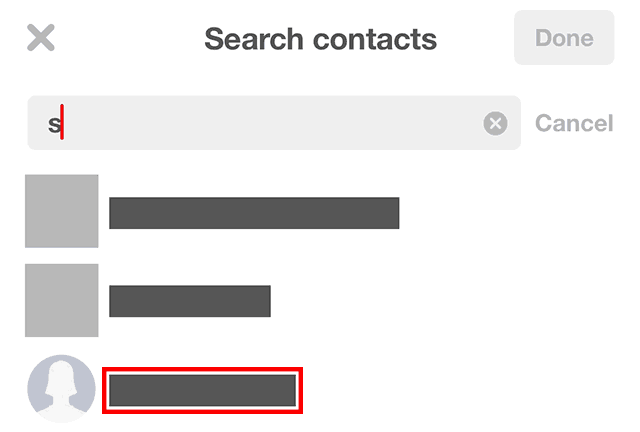 Step 2 (optional): If you tapped the magnifying glass, tap “Search contacts” at the top of the screen to search for the user you want to send the board to. Step 3 (optional): Type the user’s name. Step 4 (optional): Tap the correct person in the search results that appear. 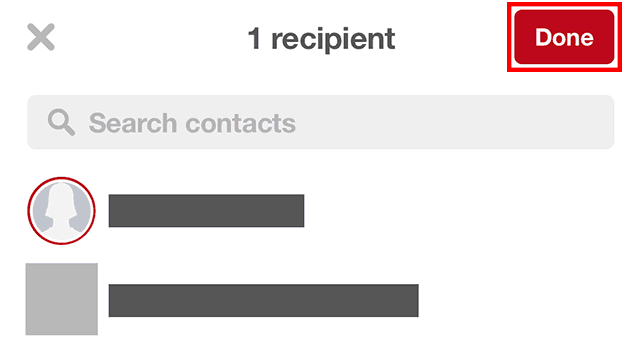 Note: You can send the board to more than one user at the same time by selecting multiple recipients. Step 5 (optional): When you’re done selecting recipients, tap “Done” in the top-right corner of the screen. Step 6 (optional): Tap “Add a message!” to send a message alongside the board. 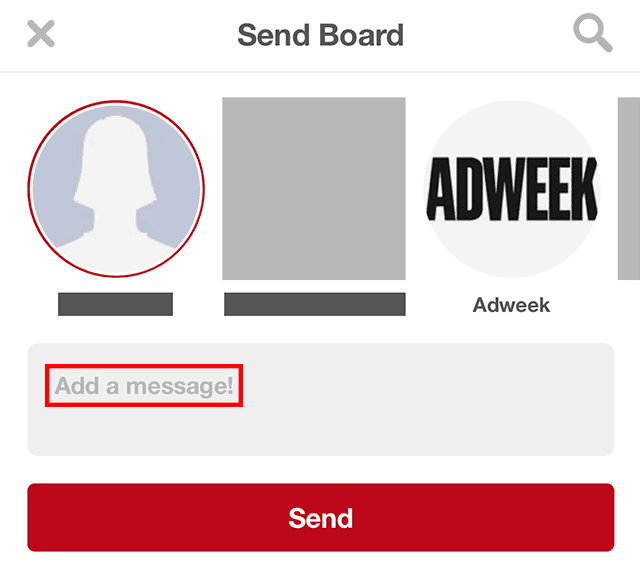 Step 7: Tap “Send” to send the board to your selected recipient(s).